ACR and PSACR are not a formally required by ANSI/TIA/EIA-568-B.1. 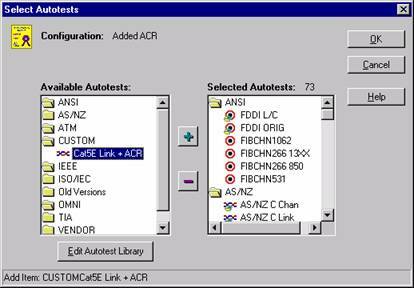 If you need ACR and PSACR, you can do this through Scanlink Tools. 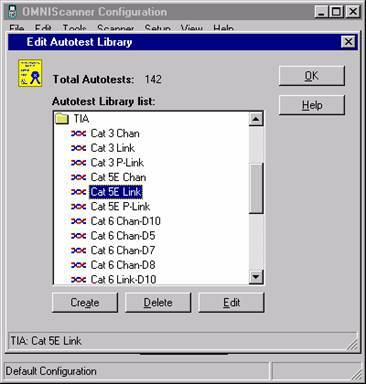 You will need to use the Scanlink Configuration Utility to create a Custom Autotest, Add it to your configuration and upload it to the OMNIScanner. Make sure that the Default Configuration is highlighted. Click on Edit and then Duplicate Configuration. This will create a copy of the Default Configuration. Hinweis: Do not make any changes to the Default Configuration. Name the New Configuration. Click OK when done naming the Configuration. 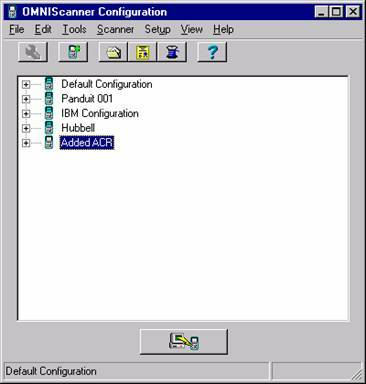 This name will only be seen in the Configuration Utility. The New Configuration will appear on the list of configurations. Now the Custom Autotest will need to be created. Click on the Edit Autotest Library icon . The Autotest Library will come up. Highlight the TIA folder and double click on it. 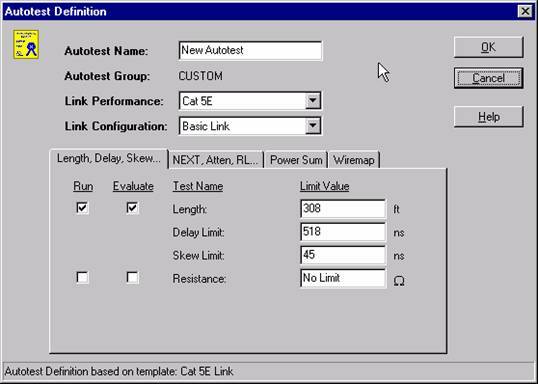 Highlight the Autotest that is to be used as a template, then click on the Create Button. The Autotest Definition window will come up. On the First tab (Length, Delay, Skew) place a check in the Evaluate box for Resistance. Checking the Evaluate will enable the Run and Evaluate options. This will enable the Resistance testing. Click the second tab (NEXT, Attn, RL). Place a check in the Evaluate box for ACR. Click on the third tad (Power Sum). Place a check in the Evaluate box for the PSACR. Now, the test will need a name. In the Autotest Name Field, enter the name for the test (ie. 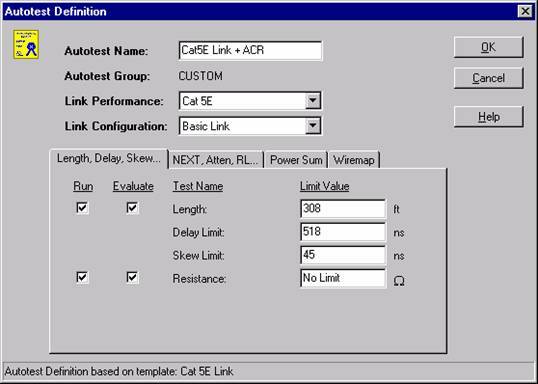 Cat5E Link + ACR). When done, click on OK. 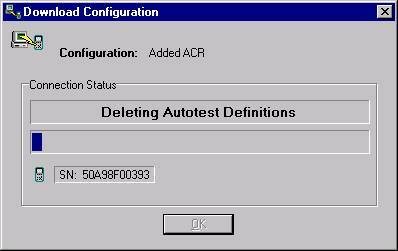 The custom Autotest will be saved in the Configuration Utilities Custom Folder. Click OK to go back to the main screen. 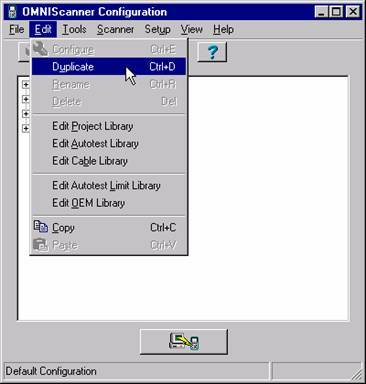 On the Main Screen, click the plus sign ( + ) next to the Configuration that was created earlier. 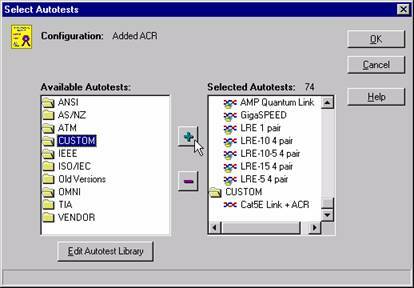 Highlight the OMNIScanner Autotests field and then click on the Configure Button . The Select Autotests window will come up. 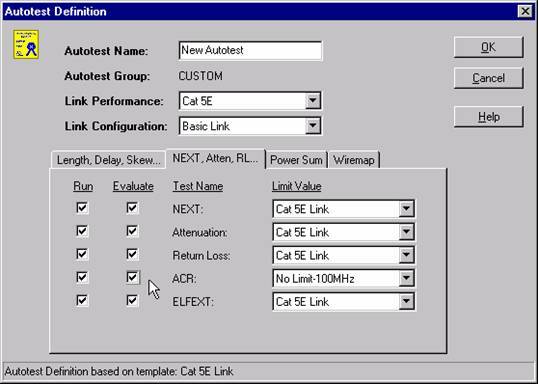 Select the Autotest that was just created and click on the Add Button . 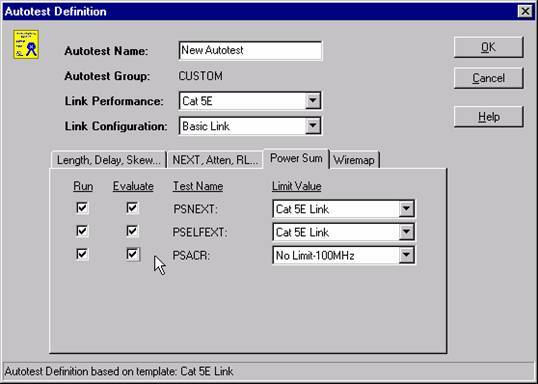 This will move the selected Autotest from the Available column to the Selected column. Once the test is moved, click OK to continue. The Configuration will return to the Main Screen. 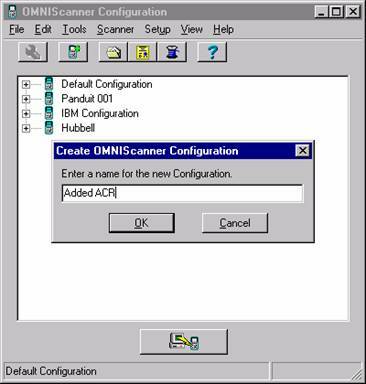 With the Configuration highlighted you are ready to download the configuration to the OMNIScanner. Connect the OMNIScanner to the PC. Connect AC power to the OMNIScanner. Turn the OMNIScanner on. 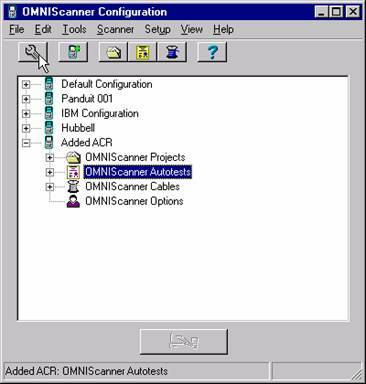 Once the OMNIScanner is connected and on, press the Download Button . The Download will begin. You will see a progress as the scanner is updated with the New Configuration. 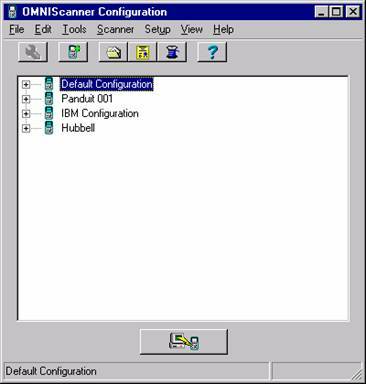 Once complete, the Configuration Utility will tell you and then click OK and close the Utility. 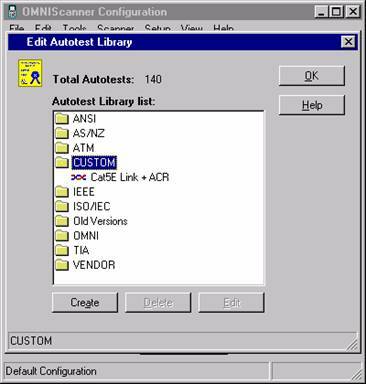 In the OMNIScanner, you will be able to select the Custom test from the Custom Folder under Autotests.